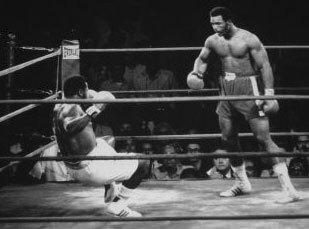 On this day in 1973, Heavyweight Champ Joe Frazier took on fellow Olympic Gold Medalist George Forman in what was expected to be a time killer before a second epic event with Muhammad Ali. The result however was a shocking and emphatic changing of the guard, as Big George scored six knockdowns in his two round snuffing of Smokin' Joe to claim the championship. It was Frazier's first-ever loss. Foreman would reign for two years before falling to Ali. 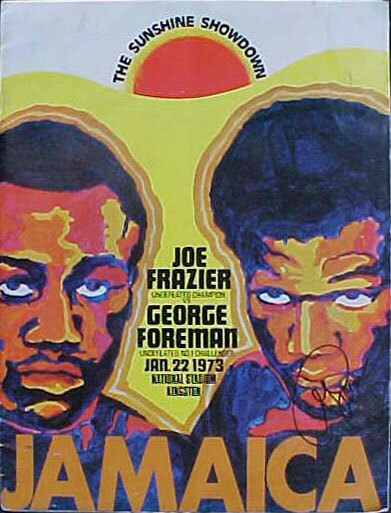 Joe would go on to two more classic bouts with Ali as well as a rematch with Foreman.